We recommend making regular backups of your StockMarketEye data and storing those backup files in a secure location. You can turn this feature on or off in the Preferences window, under the “Advanced” tab. 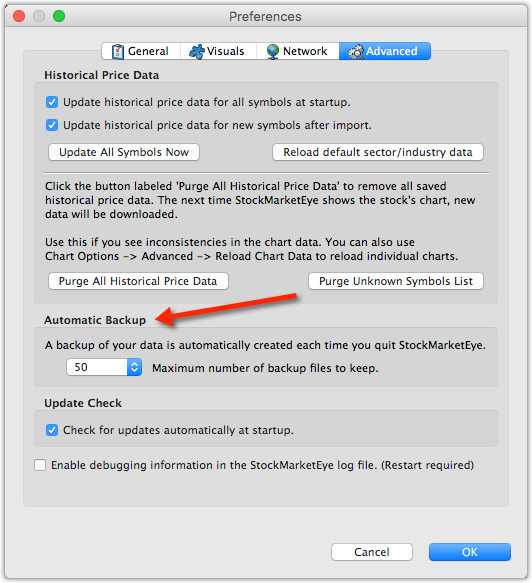 The automatic backup files are created just before StockMarketEye shuts down. The backup files are encrypted and can only be used in StockMarketEye installations that use the same license key.